Although Ivanka Trump will not become a government employee, she is set to have an office on the West Wing’s second floor, with access to classified information and government-issued devices. 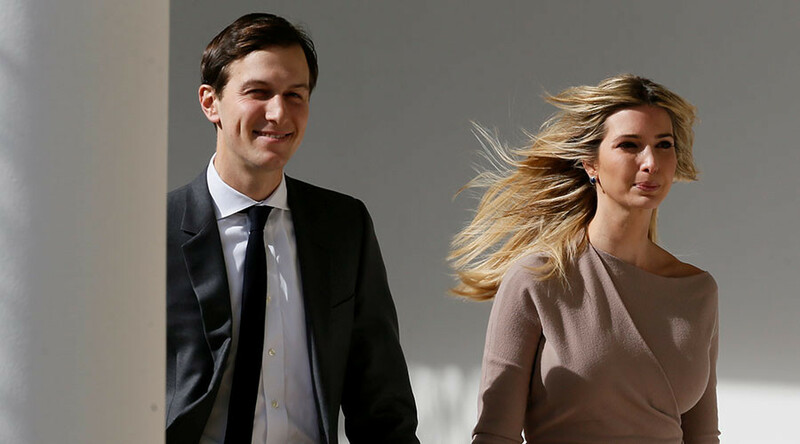 Since President Donald Trump took office, his daughter has been at the White House to visit her husband, Jared Kushner, senior adviser to the president. She has also sat in presidential meetings with political and business leaders. On Friday, Ivanka raised eyebrows when she was pictured sitting next to German Chancellor Angela Merkel during a meeting on vocational training with the president. Now that she will be a part of the team, Ivanka says that she will voluntarily adhere to the same rules that would apply if she were a government employee. “While there is no modern precedent for an adult child of the president, I will voluntarily follow all of the ethics rules placed on government employees," Ivanka said in a statement, according to the New York Times. Ethics watchdogs are questioning the potential conflicts of interest and violations of anti-nepotism laws that normally prevent relatives from being appointed to government positions. “There’s recognition that they're in very uncertain territory here. The better thing to do would be to concede she is subject to the rules. It would create some outside accountability, because if she can voluntarily subject herself to the rules, she can voluntarily un-subject herself to the rules,” Eisen said. “It's not a huge deal if she stays out of things that affect her financial interests," he said. To comply with federal ethics standards, Ivanka has divested some assets and placed her brand in a trust that will be controlled by Josh Kushner, her brother-in-law, and Nicole Meyer, her sister-in-law. The company will not be able to make any agreements with foreign countries, and Ivanka says she will no longer appear in advertisements. She has also has separated her personal and business social media accounts to comply with ethics standards. “The one thing I would like to be clear on: we don’t believe it eliminates conflicts in every way,” Gorelick told Politico. “She has the conflicts that derive from the ownership of this brand. We’re trying to minimize those to the extent possible." An ethics complaint has already been filed against the Trump administration for promoting Ivanka’s clothing line after Trump’s senior advisor, Kellyanne Conway, went on Fox News to give a “free commercial” for Ivanka’s product line.